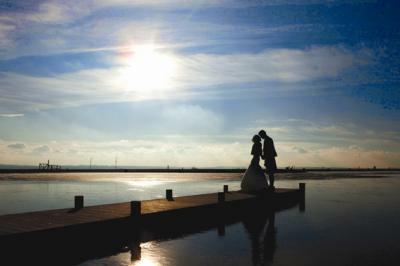 Your wedding is one of the biggest days of your life and we understand how challenging it can be to make a venue choice. Our events team strive to ensure you are 100% happy with our spectacular Oasis & Vu Suites, our fabulous Water Lily Island Suite and every aspect of the service we provide. The unique Water Lily, in the middle of Ballencrieff Reservoir, offers something truly magical for you and up to 150 guests. With full height windows providing 270 degree views to the West over the reservoir you really do feel as if you’re on the water. Have your drinks reception at the Water Lily while photographs are being taken. 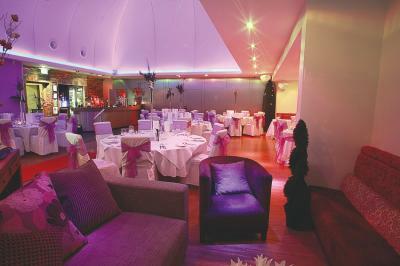 Have your reception in our fabulous Oasis/Vu suites. With its warm contemporary interior and feature lighting our Oasis suite provides the perfect atmosphere for your wedding reception. 150 guests can be accommodated and 300 can be catered for by special arrangement. Our equally contemporary and welcoming Vu suite provides a more intimate venue for 85 wedding guests and a maximum of 110 evening guests. Speak to our weddings consultant about those special touches for your table arrangements and how you can utilise the lighting and integrated sound system. 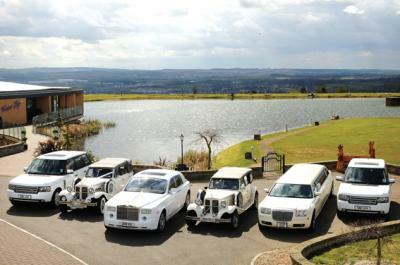 Visit our website for much more information and photographs showing just how stunning and unique our venue, cars and dedicated staff are .... Read our testimonials, download our brochure and most importantly - email or call to arrange a tour.